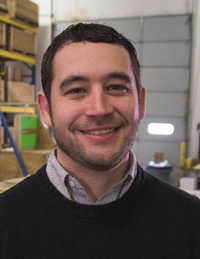 A seven-year veteran with PROSOCO, Nick previously worked as the company’s regional sales manager covering the Midwest. He started working for PROSOCO in 2010 as a field technician for the concrete flooring group. He succeeds Kevin Sigourney, who earlier this year was promoted to serve as the company’s vice president of brand integrity. As head of the concrete flooring group, Nick will manage a team of concrete flooring technical specialists, report objectives and strategies to field sales, and lead the group’s interdepartmental sales strategy team. For more information about PROSOCO, visit www.prosoco.com. CarbonCure Technologies Inc. and Chicago-based Northfield Block, a division of Oldcastle APG, have issued the first Health Product Declaration (HPD) for any concrete product in North America. 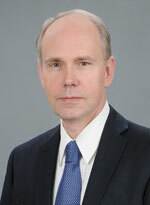 PROSOCO has announced a series of personnel updates to meet the growing demand of its products and services. Keene Building Products has hired Darren Keegan as director — Keene Manufacturing. Keegan graduated from University of Pittsburgh with a B.S. degree in mechanical engineering. Throughout his career, Keegan excelled in a wide range of jobs, from an environmental, mechanical, and plant/applications engineer, to a general manager and vice president.